Here at PPP we love a good pun. That’s why our customer’s See.Sense new packaging is nothing short of iconic. 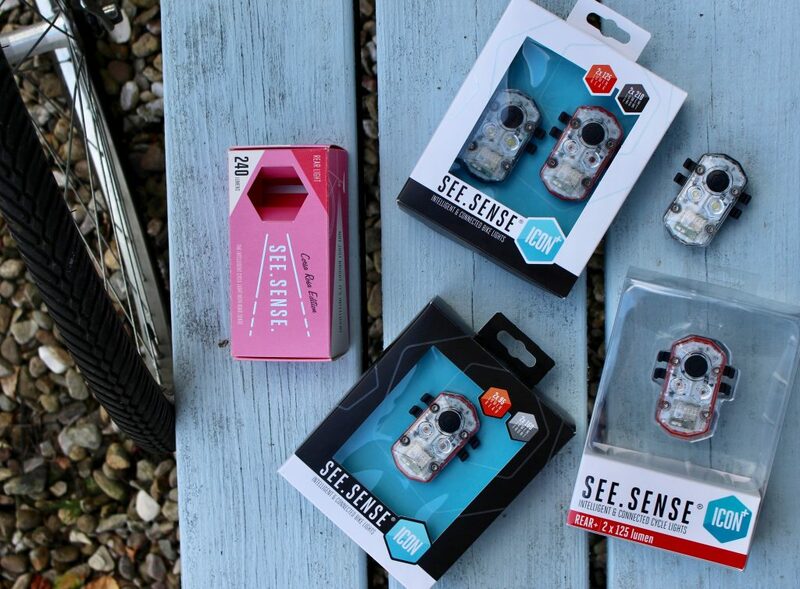 See.Sense is the brainchild of Philip McAleese, who invented his first product – the intelligent bike light following a cycling accident. He was constantly cussed out by drivers saying they couldn’t see him – despite having bike lights. Fast forward 5 years, and tons of research and development (and a lot of cycling) with avid cyclists later – the See Sense product line continues to expand with the recent addition of the Icon. See Sense’s tag line ‘More than just a bike light’ is pretty accurate. The icon’s primary purpose is of course a bike light, but it also shines brighter when coming up to roundabouts and when connected to your phone – can warn you if your bike is going to be stolen. In short, the Icon doesn’t sound like just a bike light – it sounds like your bikes new best mate. So you’re probably thinking if ain’t broke – don’t fix it. Yes, as one pernickety person pointed out on See.Sense’s Facebook, there was nothing obviously wrong with the Icon’s previous packaging. You could see the product, the brand name and the Icon itself was perfectly contained in the plastic packaging. Key word here: plastic. As also pointed out on Facebook, once you have the bike light in your hand the packaging is more than likely to end up in the bin. We’re under no illusions here that a lot of our packaging is eventually going to go in the bin. So if you’re going to have such a smart product, then why not have smart packaging to go along with it? Our cardboard packaging is not only a more cost-effective solution to our customers instead of copious amounts of plastic, but also 95% biodegradable. If you like, it’s cardboard with a conscience. See.Sense are pro-active pioneers of offering ethical products as they are partnered with We Forest– so it only seems fitting that this should transfer to their packaging. Now for a super-smart company like See.Sense, they know they didn’t just upgrade their packaging purely for cost and environmental reasons – although these are more than good enough reasons. This packaging update marks a milestone for See.Sense – they are speaking up about their brand. The result? There is no denying that their new packaging is all things See.Sense (monochromatic with the pop of blue and spot uv to highlight their tech finesse). The Icon and its packaging is the intelligent bike light’s – sleek, smart and sophisticated big sister. 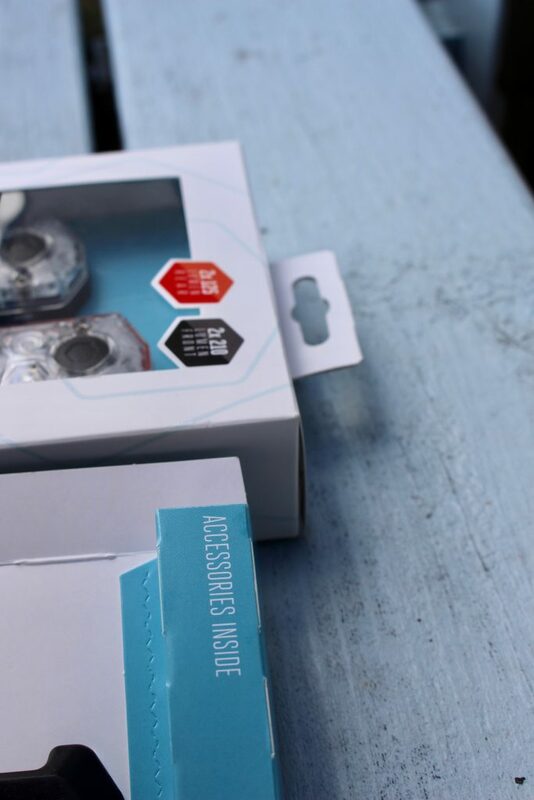 From a design point of view, the cardboard packaging allows See.Sense to showcase more of their brand, more information about their product whilst still maintaining the practicalities of protecting it. So yes, if you’re going to be so bold and name what most people consider a cycling necessity an ‘Icon’, you better have the premium packaging to go with it. 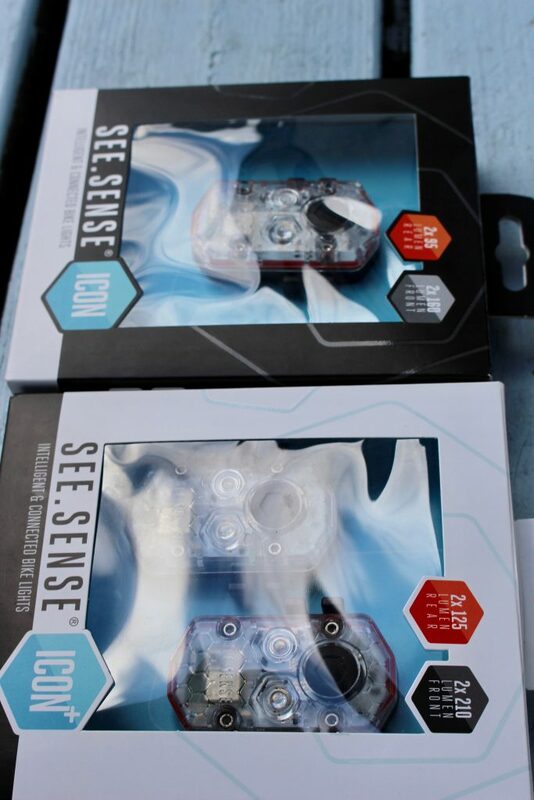 You can buy See.Sense Icon lights on their site, in stores at Chain Reaction Cycles or further afield at Evans Cycles.